House, Richard Mortensens Vej, 2300 København S.
Kalvebod Houses houses 165 new, attractive rental apartments. The homes are a mixture of 115 apartments and 50 terraced houses built in two blocks each with their own common courtyard. Kalvebod Houses is an energy-friendly building with solar cells, green roofs and large windows. Here there is room to live life - close to nature and the city. Along the north- and south-facing facades of the two blocks, there are 50 three-storey terraced houses of 124-128 m² with small gardens, which we know from Humleby and the Potato series in Copenhagen. 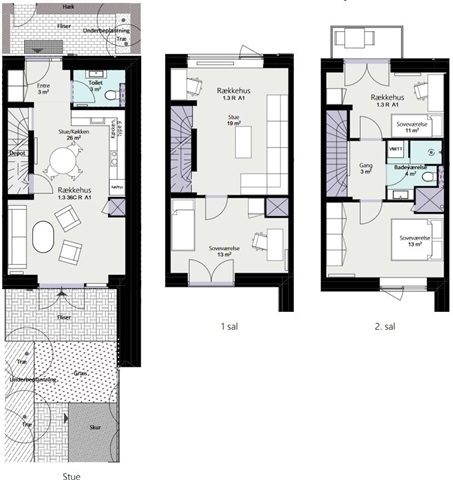 In the gables there are 103 2-5 room apartments of 66-127 m². The gables are on 3-6 floors, so here are no high-rise buildings that take the light from your new home. 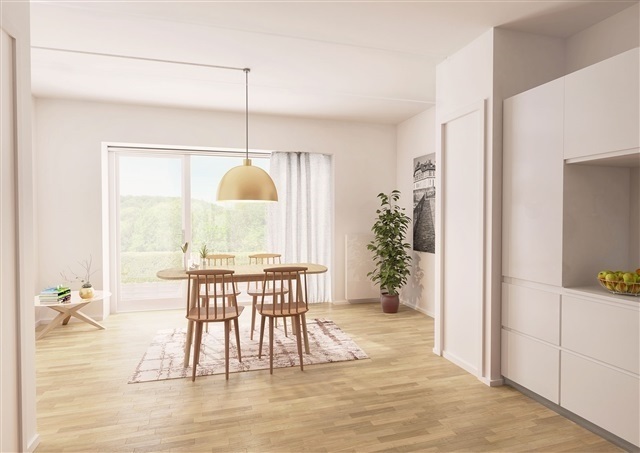 Your new home is ready to move in with beautiful wooden floors in 22 mm parquet flooring and white walls, doors and cabinets. In the bathroom floor and shower are covered with tiles. The kitchen is from HTH, the luminaires are from Grohe and the white goods are from Siemens. In the multi-storey building, the apartments' hardwood floor floors are very resistant and nice to wear with just toes. Danielsen Architecture has mixed apartments and terraced houses in both of the two blocks in Kalvebod Huse. 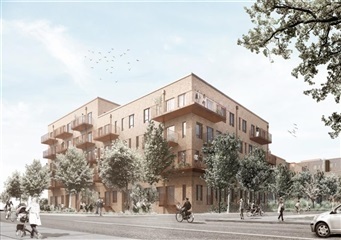 The blocks are built in reddish-brown and gray bricks, which radiate the same weight and robustness as Copenhagen's older houses. The architects have emphasized the design of functional and flexible housing with large, bright rooms. The decor varies, so you can choose the type that best suits your family. 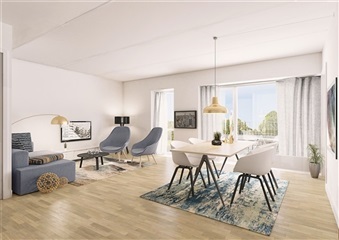 Kalvebod Huse is an energy-friendly building with solar cells, green roofs and large windows that minimize the need for heating and electric light. 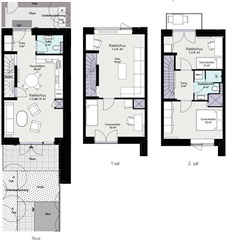 Subject to changed furnishing of the floor plans, as modified radiator plans may have an effect on this.